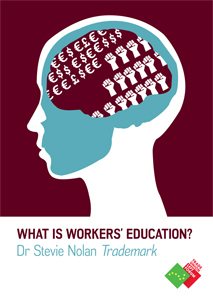 Our answer to the question “What is the purpose of workers’ education?” is of course dependent on the broader question of “What is the purpose of trade unions?” Are unions a collective defence of interests aimed at advancing the terms and conditions of members (and only members), or are they a means of challenging capitalism and providing a political vehicle for advancing towards socialism? Is it reform or revolution? The reformist approach, understood as varieties of social democracy, is in retreat, if not entirely dead. Over the last forty years we have seen the emergence of a new phase in capitalist development that has included a dominant role for finance capital, the defeat of organised labour, deregulation, low taxes, massive and continuous privatisation, and the end of the welfare compromise.